Exhibition Hall 2 displays a pair of haenyeo divers’ goggles and the fishing spheres they often use underwater. Her traditional working outfit is also on display along with various historical records and haenyeo-related materials. Exhibition Hall 3 has an underwater theme called “The Sea” and displays the fishing industry’s culture. Traditional fishnets and fishing equipment are on display including small ship models and salt farm models. 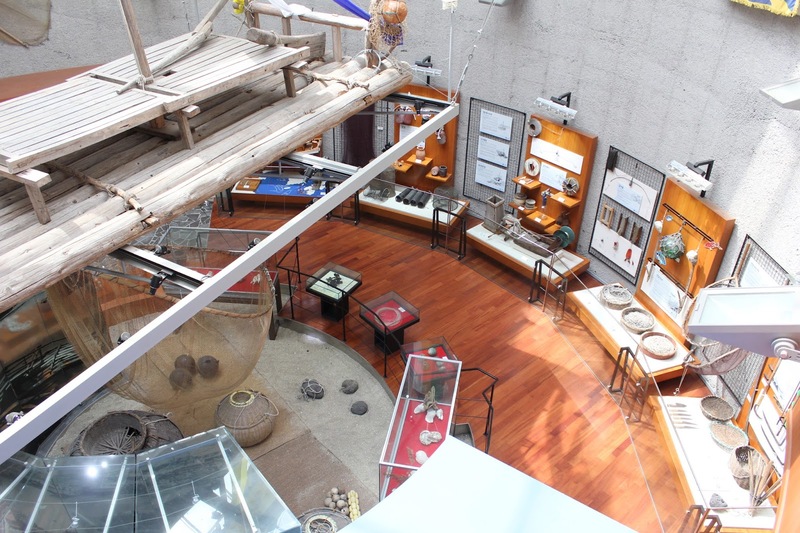 The Jeju Haenyeo Museum exhibits various photos of haenyeo female divers and their activities, to provide an accurate picture of their lives. The Jeju Haenyeo Museum also has an observatory from where visitors can see an excellent view of the Hado-ri area, which has a garden with various sculptures and a resting area. The first floor lobby has a souvenir shop where visitors can purchase a variety of souvenirs related to haenyeo female divers.